Mary Guzowski is an Associate Professor in the Department of Architecture at the University of Minnesota. She is a co-author of the Minnesota Zero Energy Design Protocol and she oversaw the development of the MSc in Sustainable Design Program at the University of Minnesota. Her publications include Daylighting for Sustainable Design (2000) and Towards Zero-energy Architecture (Laurence King, 2010). 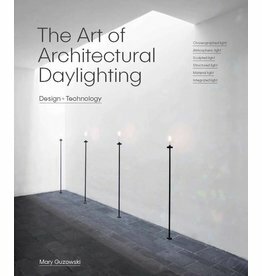 This book reveals how architects have bridged the poetic and practical potential of daylighting to create exquisitely illuminated spaces.